Customers meeting the minimum account balance will be given free On-net Minutes and SMS. Free bundle will be posted to your number one day after you have maintained the required balance which will be valid till midnight the same day. For example a customer who maintained Rs 3,000 balance on 1st April will get 100 On-net Minutes and SMS on 3rd April. Status of a free bundle can be checked by dialing *117*88*2#. The minutes and SMS are non-transferable. A customer will stop receiving the incentive if he has not conducted any product transaction in the last 30 days. After maintaining balance for more than 30 days, customer will stop receiving free Minutes and SMS; they can become eligible for this by performing a transaction from their account; after performing transaction they will start getting free Mins and SMS again after one day. This offer is valid only for prepaid customers. Mobile Account Balance Offer is a limited time offer. Those customers who are subscribed for Bachat Account or JazzCash Beema are not eligible for this offer. These free Minutes and SMS will not be valid for use between 6 PM and 9 PM. How can I deposit money into my Mobile Account? 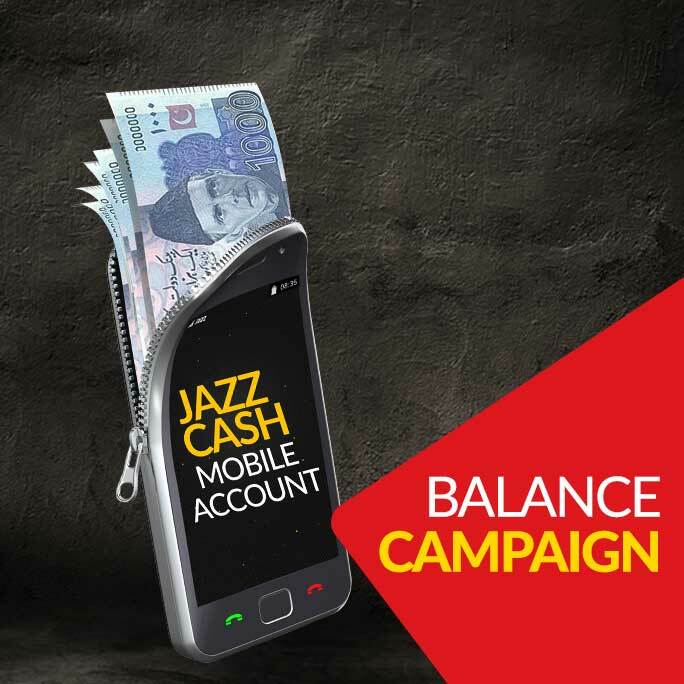 You can avail the services of nearly 60,000 JazzCash agents across Pakistan. Just type ‘M’ and send it on 2179 to see the nearest retailers in your vicinity. Cash deposits can be conducted through any of our agents. How will I get the confirmation of my daily incentive? SMS will be sent to the qualifying customers for the respective daily postings. What if I want to register a JazzCash Mobile Account? What transactions do I need to conduct for getting the Minute/SMS incentive? What if I am maintaining the specific minimum balance amount but have not conducted a Mobile Account transaction within the last 30 days? You will qualify for the incentive one day after you have performend any of the above mentioned Mobile Account transactions; provided that you still meet the minimum balance requirement. For example; if a customer has done one Jazz Load transaction on 5th April and maintains a balance of Rs.1000 on 19th April, then this customer will be posted free minutes and SMS on 21st April since he has been active in the last 30 days.